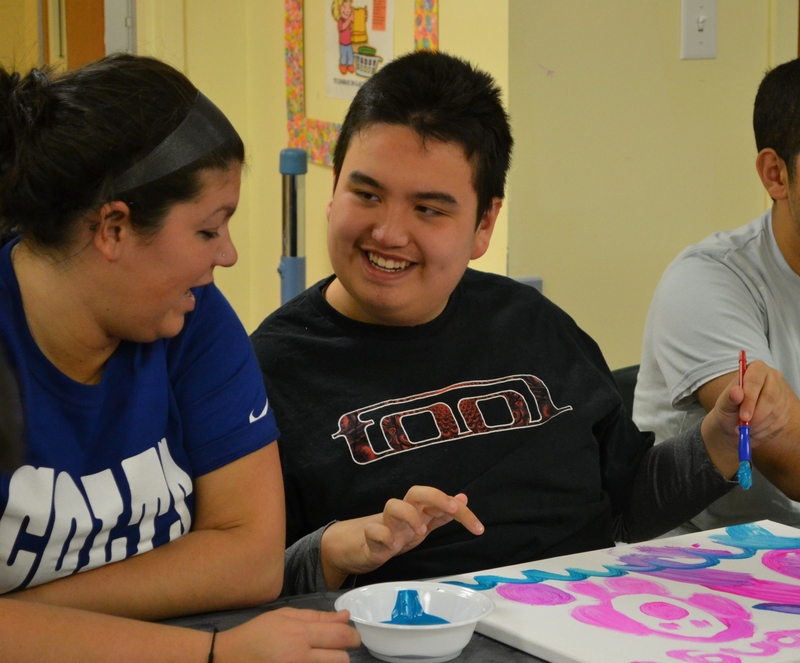 Art therapy is a big component of our school age program. The school age program at the Children’s Education Center serves kids ages 5-21 with intellectual disabilities, multiple disabilities, traumatic brain injury and autism. Children are referred to this program from their local school district’s committee on special education. Children in the program benefit from a high staff to student ratio, 12:1:4, 10:1:3 or 6:1:3.5 (please see Autism Program 6:1:3.5 student to staff ratio). Students are grouped according to age and academic needs. Each class is a program to itself and curriculum is driven by the student’s Individual Education Plan and the New York State Education Department Standards for Special Education. Classroom lessons are enhanced through the interactive use of Smart Boards and iPad technology. Students may receive an array of services as mandated by their Individual Education Program. Click here to see a complete list. All students receive music, art and adaptive physical education. Dependent upon the level of function, students receive academic education services in areas of reading, hand-writing, functional mathematics, socialization, activities of daily living and programs related to the New York State Education Department Standards for Special Education. Transition programming to adult services is available to all adolescent students. Pre-vocational training is offered at community based sites and within the community.